Make your bedroom more cozy and welcoming with Crafts – Bedroom Amish bedroom accent furniture from Weaver Furniture Sales. 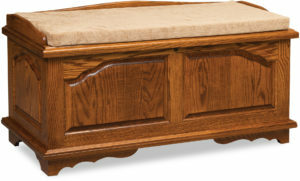 From cedar chests to wall shelves, book ends and jewelry chests to magazine tables, our Amish bedroom crafts are ready to impress. What’s more, Amish artisans custom build each piece. 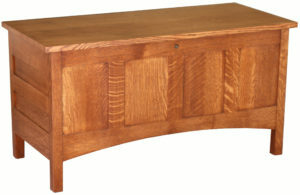 And they use solid hardwoods like maple, cherry and oak. So you’ll find the bedroom accent furniture to be extremely sturdy and long-lasting. Also great-looking. 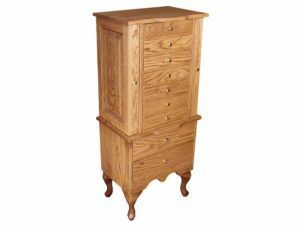 So check out our impressive online collection of Amish bedroom accessories. Or, visit our ‘brick and mortar’ store in picturesque Shipshewana, Indiana. And explore them for yourself. Made from solid hardwood, the Crafts – Bedroom accessories from Weaver Furniture Sales are sturdy, durable, and eye-catching. For example, notice the stunningly beautiful Love Never Fails Hope Chest. You can get it with any design you wish – carved wherever on the chest you like. Also, the available safety hinge ensures the chest will not slam shut. Now, you need to take a closer look at the Dawson Plate Shelves. Our builders crafted them from Easter white pine with cranberry red sand-through paint and sturdy wood slats. These hand-built shelves boast a timeless style and customizable options (including a wide variety of stain/paint styles). Also check out our classic Three Drawer Jewelry Chest. It featuring a carved base and wood knob hardware.